The one-leg test: Requires a driver to stand on one leg without wobbling. The walk-and-turn test: Requires a driver to walk a straight line, turn, and walk back. The horizontal gaze nystagmus test: Requires a driver to follow an object visually so that the police officer may observe the driver’s eye movements. Chemical tests, meaning breath, blood, and urine tests, are supposed to determine if a suspect has a blood alcohol concentration (BAC) level at or above the 0.08 percent legal limit. Unless you are under 21 or on probation for a prior DUI, you are not required by law to submit to a chemical DWI test until after you have been taken into custody. However, if you refuse to submit to a chemical DUI test after you’ve been arrested, your license can be suspended for up to a year, and if you have prior DWI convictions, the suspension can be even longer. 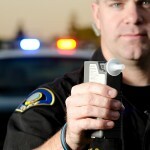 However, your refusal to take a DUI test does not mean that you are guilty of DWI. You’re not guilty until and unless the state can prove your guilt beyond a reasonable doubt. 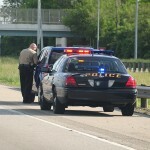 If you are charged with DWI in southern California, contact a good DUI defense attorney right away. Let an experienced Orange County DWI lawyer examine the case against you and advocate for justice on your behalf. Help is here for accused drivers, but to get that help, you must make the call promptly.